Together the IHRA’s 31 member countries succeeded in changing the EU draft legislation of the General Data Protection Regulation (GDPR) thereby safeguarding the future of Holocaust research for generations to come. 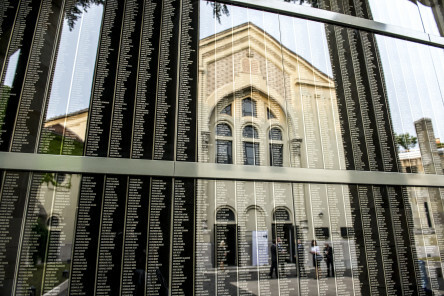 This marks one of the biggest successes in the history of the organization and underlines the need for an intergovernmental organization with a mandate to focus on Holocaust research, remembrance and education. No other organization could have acted on an international platform to overcome the dangers the GDPR posed to Holocaust research. 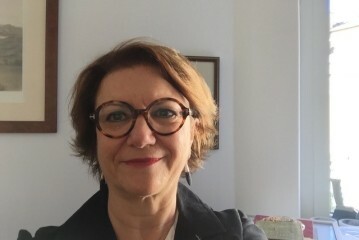 2015 was also a year which saw the IHRA’s first academic publication on the topic of killing sites, the IHRA’s first professional development seminar, the first annotated bibliography of material on the genocide of the Roma published since 1989, and the first appointment of a Vatican liaison person for IHRA issues. I take this opportunity to thank the IHRA Troika and my IHRA colleagues for their support in all our endeavors over the last year. I know that you all believe, as I do, that the Holocaust is an issue of contemporary importance and one which must remain firmly on the political agenda. 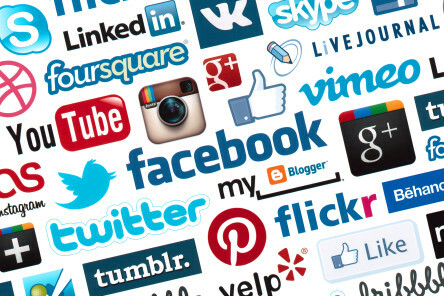 IHRA's Social Media guidelines are published, outlining considerations and practices in deploying social media in the Holocaust educational environment. 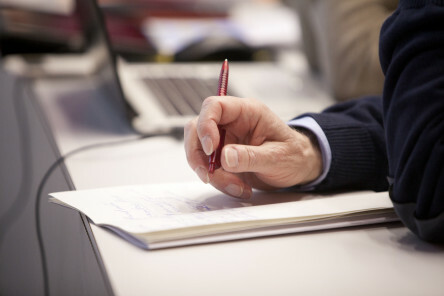 The guidelines were developed by the IHRA’s Education and Communication Working Groups and demonstrate IHRA’s awareness of the changing landscape of education. 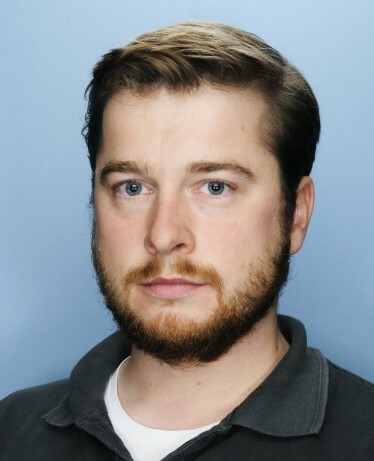 They were downloaded 167 times in 2015. 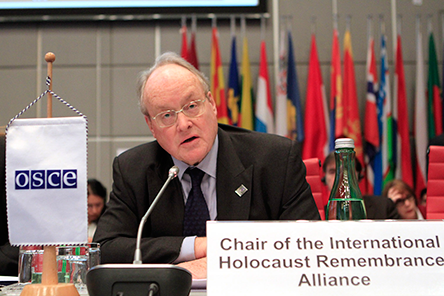 UK IHRA Chair Sir Andrew Burns addresses the OSCE Permanent Council in Vienna on the topic of Holocaust Memorial Days. 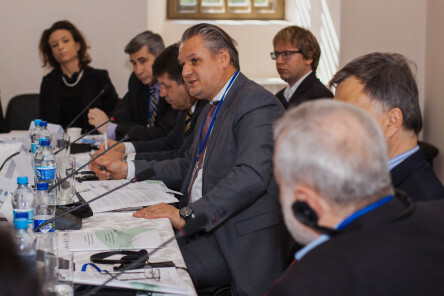 The IHRA is dedicated to combating antisemitism and Holocaust denial, which in turn helps to further peace and security in contemporary societies, bringing the OSCE and IHRA mandates into alignment. Read more here. 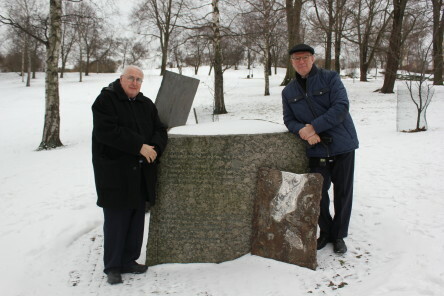 Image: Steven Katz with Rony Smolar (Jewish Community of Helsinki) at the memorial for Jewish refugees deported from Finland in November 1942, Helsinki. An IHRA delegation including Advisor to the IHRA, Professor Steven Katz, and IHRA Executive Secretary, Dr. Kathrin Meyer, participate in a program on Holocaust education and remembrance organized by the Finnish National Board of Education and the Finnish delegation to the IHRA in Helsinki from 25 to 28 January. Read the full report on the visit here. Image: Memory Road Initiative, Lithuania. 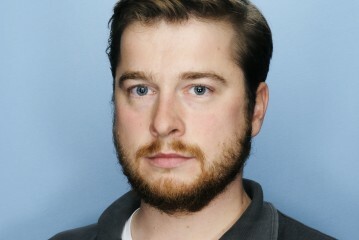 Tomas Kavaliauskas. 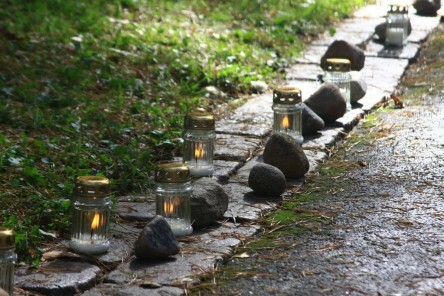 International Holocaust Remembrance Day is commemorated worldwide in memory of the victims of the Holocaust. 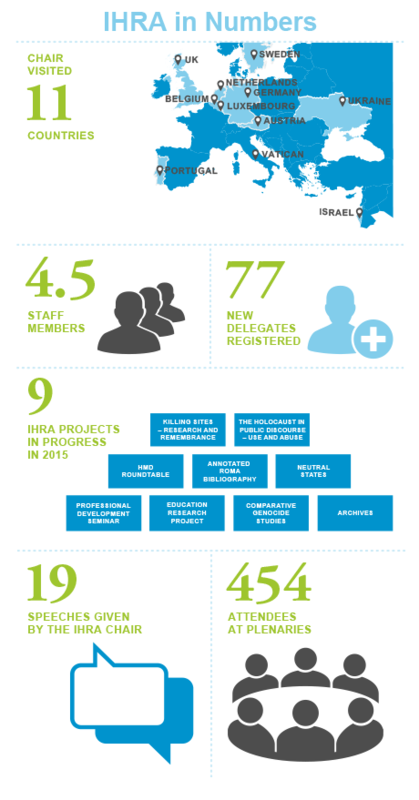 In 2015 IHRA collated an overview of hundreds of events taking place in IHRA member and observer countries on 27 January. 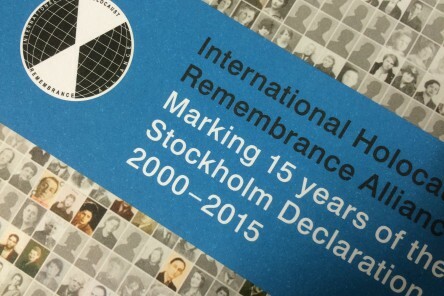 IHRA member countries also reaffirm the Stockholm Declaration 15 years after the original Stockholm Forum, underlining the fact that the IHRA’s work is as crucial as ever. See where the reaffirmation was shared, tweeted and read here. 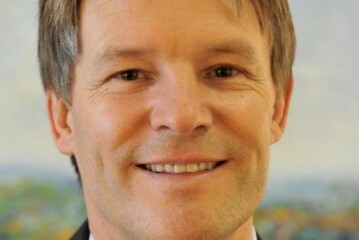 Hungary assumes the IHRA Chairmanship from the United Kingdom. The outgoing Chair, Sir Andrew Burns, hands over to Szabolcs Takács. 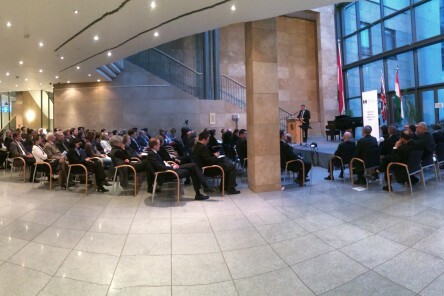 The handover ceremony, attended by the diplomatic corps, takes place at the Hungarian Embassy in Berlin. Read more here. Within the framework of IHRA’s Grant Programme, the Funding Review Committee recommends 18 projects for funding in 2015. 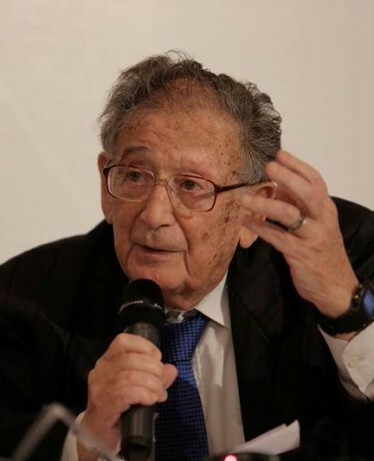 The Yehuda Bauer Grant for outstanding projects is awarded to the Auschwitz Institute for Peace and Reconciliation for their project “Latin American Network for Genocide and Mass Atrocities”. 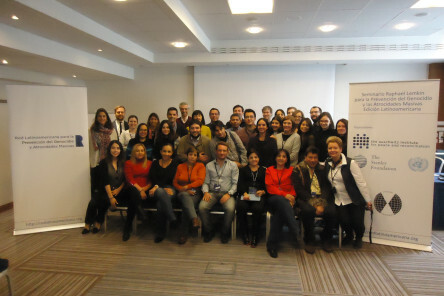 In 2014 the Latin American Network trained 48 officials from 18 countries who went on to become ambassadors for genocide prevention in their home countries. The Committee on Antisemitism and Holocaust Denial and the IHRA Permanent Office approaches Microsoft regarding the auto-correction of the word ‘antisemitism’. Following the correspondence, Microsoft agrees to modify its auto-correct feature to accept ‘antisemitism’ as a legitimate spelling. Read the Committee’s memo here. 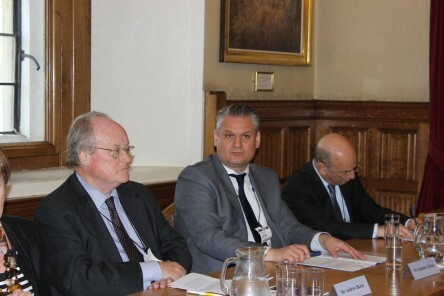 The Hungarian Embassy in London organizes a panel discussion in the House of Lords to mark the handover of the IHRA Chairmanship from the UK to Hungary. 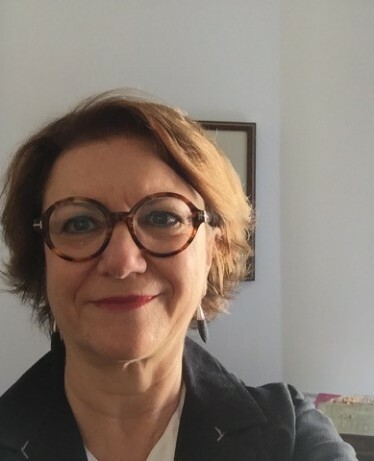 The IHRA Chair, outlines Hungary’s Chairmanship priorities: combating antisemitism, promoting Holocaust education and remembering the genocide of the Roma. 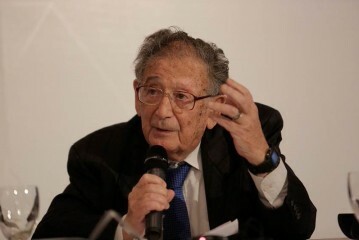 The IHRA Chair speaks at the international seminar entitled “Educating about the Roma and Sinti Genocide – Learning from the past for challenging discrimination and promoting equality” organized by the OSCE Office for Democratic Institutions and Human Rights (ODIHR) in cooperation with the Swedish governmental agency the Living History Forum and the Swedish Equality Ombudsman in Stockholm. 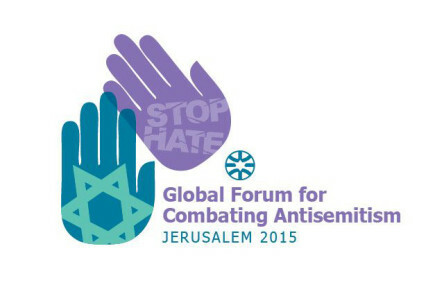 The IHRA Chair speaks at the 5th Global Forum on Combatting Antisemitism in Jerusalem, Israel. Read more here. 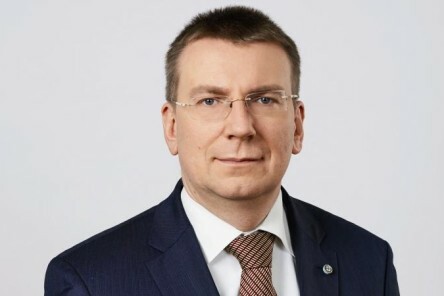 The IHRA Chair Szabolcs Takács and Executive Secretary Kathrin Meyer hold talks with Head of the Latvian EU Presidency, Foreign Minister Edgars Rinkēvičs on the EU’s draft General Data Protection Regulation in Brussels. 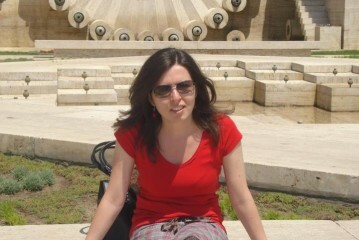 The IHRA Chair carries out an outreach visit to Kiev, Ukraine. 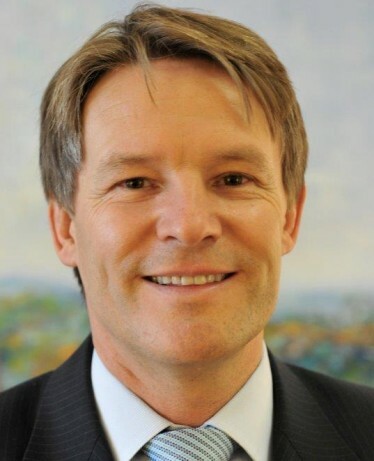 In the year 2000 then-Prime Minister Victor Yuschenko attended the Stockholm Forum. Ukraine was heavily affected by the Holocaust and is not yet affiliated with the IHRA. 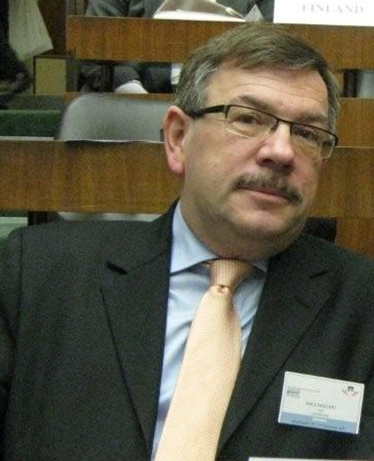 The IHRA hopes to welcome Ukraine as an observer country in the near future. In IHRA’s new brochure to mark the 15th anniversary of the Stockholm Declaration, countries note that IHRA membership has influenced policy-making, fostered closer relationships between governments and NGOs, helped educators share resources and best practices, and has supported the development and renovation of new memorials and remembrance sites. 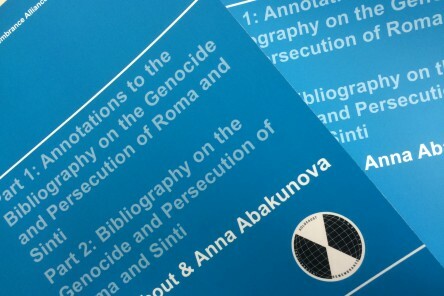 4,000 copies of the brochure were distributed to IHRA member and observer countries in 2015. Image: Pava Street Synagogue, Budapest. 245 delegates attend the IHRA Budapest Plenary to discuss Holocaust-related issues, including the EU draft General Data Protection Regulation (GDPR). A historic walk of the Jewish quarter of Budapest is organized by the Zachor Foundation, a reception is held at the Pava Street Holocaust Memorial Centre, and a concert is organized together with the President of Mazsihisz and the Chief Rabbi of Budapest. 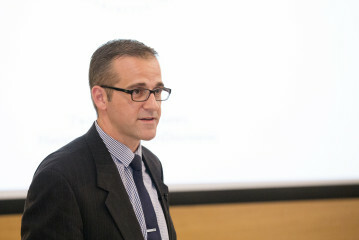 The keynote speech was delivered by Mr. János Lázár, Minister leading the Prime Minister’s Office. 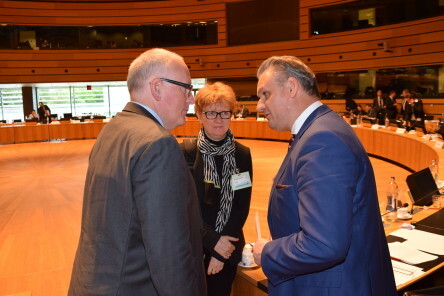 The IHRA Chair Szabolcs Takács and Executive Secretary Kathrin Meyer hold meetings with First Vice President of the European Commission, Frans Timmermans and Gaston Stronck, Director for International Economic Relations and European Affairs, representing the Luxembourg Presidency, on the EU’s draft GDPR in Luxembourg. The IHRA Chair holds a briefing on the EU’s draft GDPR in Brussels for the Permanent Representatives and Ambassadors to the EU of IHRA member countries and IHRA observer countries, Bulgaria and Portugal, as well as other stakeholders from various EU institutions. 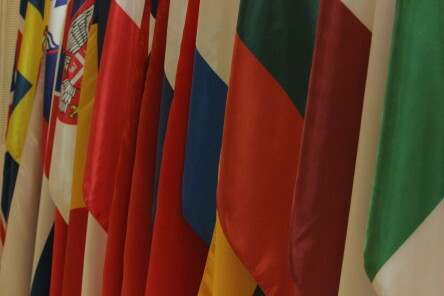 24 of the IHRA member countries are also EU member countries. The IHRA Chair required their support to secure an amendment to the GDPR. Read more. 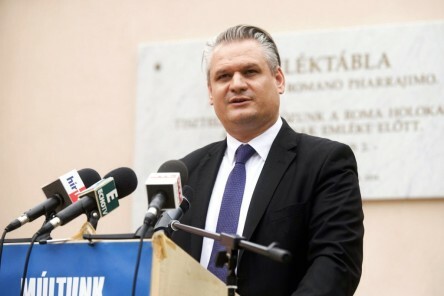 The IHRA Chair speaks at the commemoration event organized by the Roma Civic Association (RPT) at the 'Roma Historical, Cultural, Educational and Holocaust Centre' in Hungary, and at the opening of the exhibition entitled “Pharrajimos-The Roma Genocide- A hushed-up tragedy“ organized by the Federation to Maintain Jewish Culture in Hungary on the occasion of the remembrance day for the genocide of the Roma. Read more here. 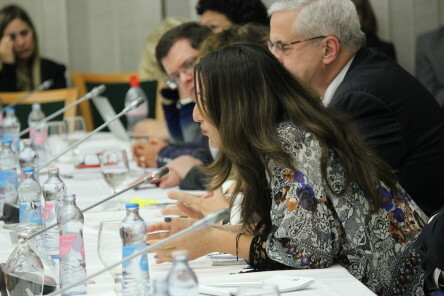 Image: IHRA delegates discuss the contemporary refugee crisis at the IHRA Plenary meetings in Debrecen, Hungary. 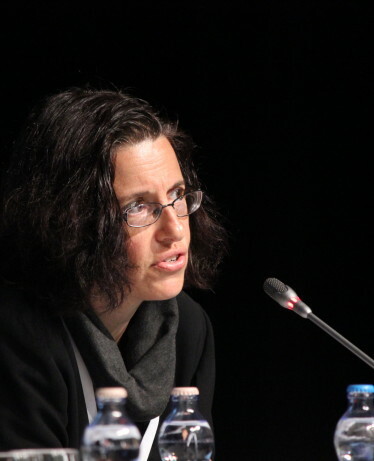 The IHRA Working Group and Committee Chairs and Honorary Chairman issue statements on the refugee crisis. The Chairs “call upon leaders to draw appropriate lessons from the past so that we may affirm the principles of the Stockholm Declaration to strengthen the moral commitment of our peoples, and the political commitment of our governments, to ensure that future generations can understand the causes of the Holocaust and reflect upon its consequences.” Read the full Working Group and Committee Chair statement here and the Honorary Chairman statement here. 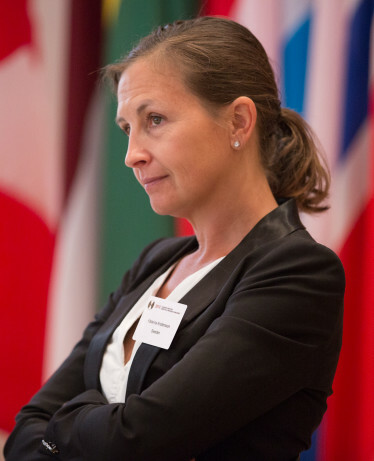 Denmark, Latvia, Norway, Romania, and Switzerland submit their IHRA country reports. 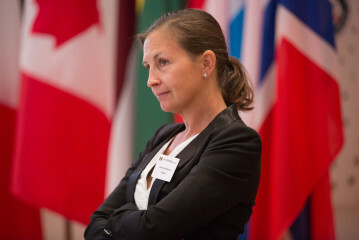 In December 2010, the IHRA established a system for regular periodic reporting by IHRA member countries on their activities related to implementation of the Stockholm Declaration. 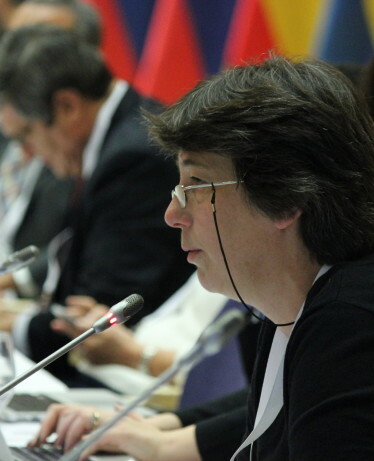 The reports give member countries an opportunity to assess challenges and opportunities. 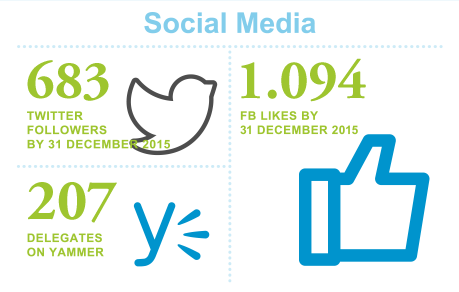 2015 saw the first opportunity for IHRA experts to provide feedback on the country reports. 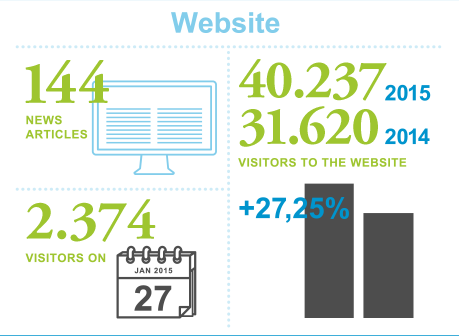 Read the available reports here. The IHRA Professional Development Outreach group succeeds in carrying out a professional development seminar in Moldova together with the Ministry of Education. The 44 educators who attended reported that they gained new knowledge tailored to the local context. 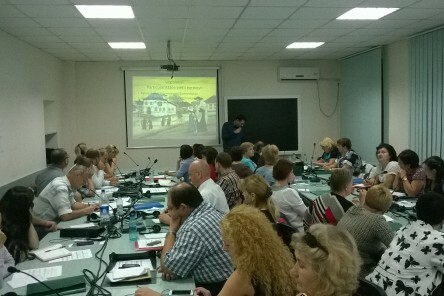 Through the seminar, the international IHRA team directly advanced Holocaust education in an underserved community. Read more here. 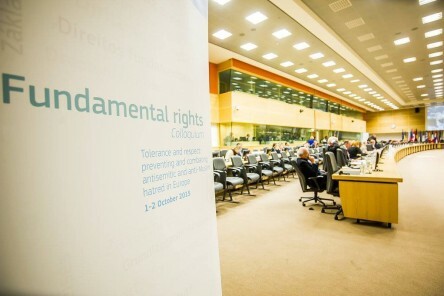 The IHRA Chair Szabolcs Takács attends the European Commission Annual Colloquium on Fundamental Rights entitled "A fundamental rights based approach to tackling antisemitic and anti-Muslim hatred in Europe: specificities, commonalities and responses” with Frans Timmermans First Vice President and Vera Jourova Commissioner for Justice, Consumers and Gender Equality. The focus of the Colloquium was on projects, policies and legislation designed to combat hate crime, hate speech and discrimination. Read more here. 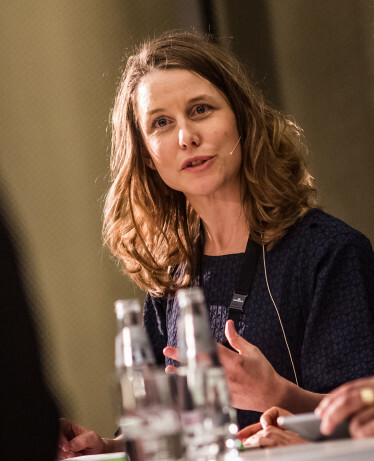 The conference 'Holocaust in the Nordic Countries – Research, Education, Remembrance' takes place from 19-20 October at the Danish Institute for International Studies. 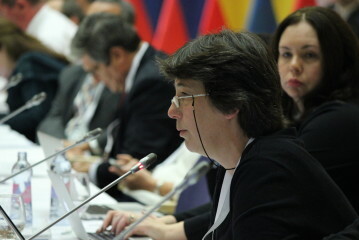 The IHRA Chair and the IHRA Executive Secretary Kathrin Meyer are both in attendance. Read more here. 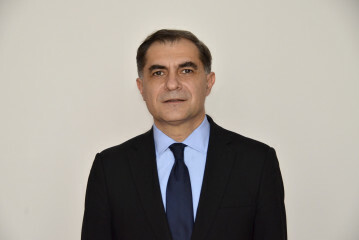 The IHRA Committee on the Genocide of the Roma presents a unique overview of international organizations working on historical and contemporary issues connected to the genocide of the Roma and an annotated bibliography on the genocide of the Roma, with more than 1400 titles- the first to be published since 1989. 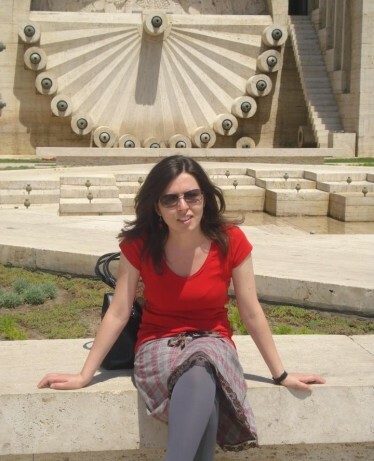 The broad international scope of the project and the focus on an under-researched area of the Holocaust both fulfill key elements of the IHRA’s mandate. 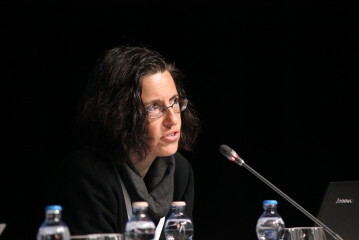 Image: The IHRA Chair addresses the Plenary in Debrecen, Hungary. 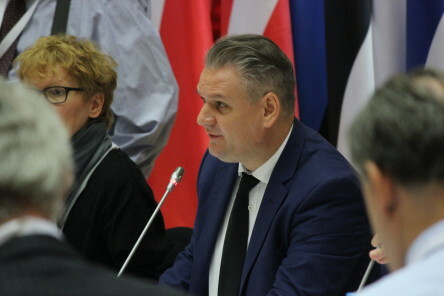 The second IHRA Plenary takes place in Debrecen, Hungary. 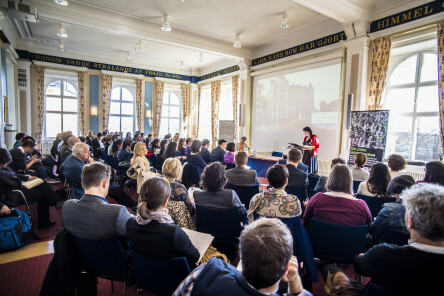 The IHRA welcomes over 200 attendees who meet to discuss topics from archival access to the current refugee crisis. A commemoration plaque to footballer Sándor Schwartz is unveiled followed by a concert organized together with the President of the Jewish community and the mayor of Debrecen, the film “Son of Saul” is screened followed by a panel discussion and the dance performance of the Hungarian State Folk Ensemble takes place. 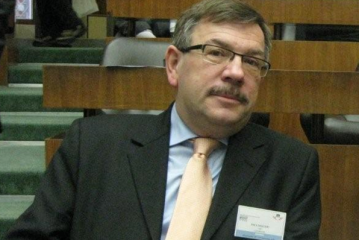 Image: Mark Weitzman, Chair of the IHRA Committee on Antisemitism and Holocaust Denial. 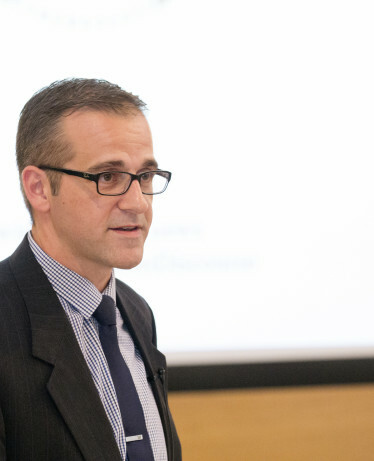 The IHRA holds a conference entitled “The Holocaust in Public Discourse. Use and Abuse”. 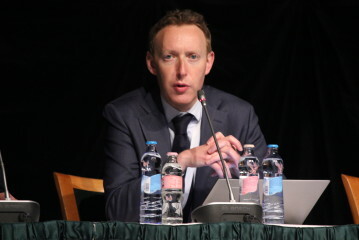 The conference was organized with the support of the Hungarian Chairmanship. 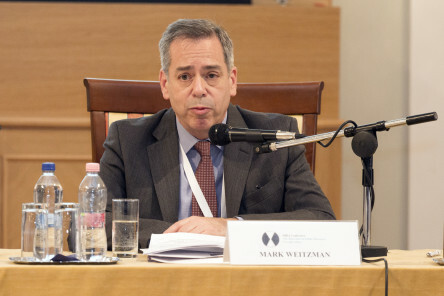 Mark Weitzman, Chair of IHRA’s Committee on Antisemitism and Holocaust Denial, commented: “This conference is the first to focus on the Holocaust in public discourse examining how the Holocaust is used and mis-used in multiple platforms.“ View the conference panels on our Youtube channel. 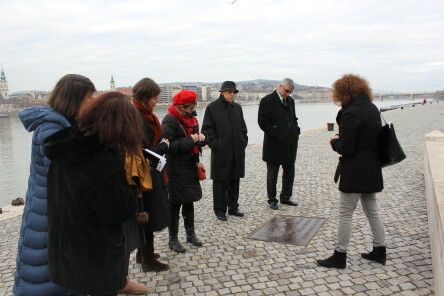 Image: Roundtable participants read the plaque at the Holocaust memorial on the Danube in Budapest, Hungary. 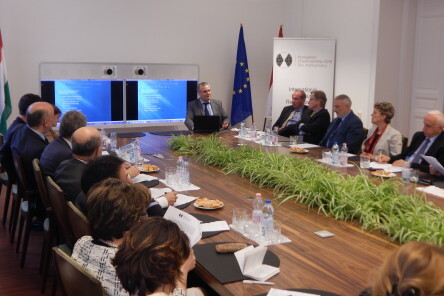 The IHRA holds a roundtable in Budapest on challenges and opportunities related to preparing Holocaust Memorial Days, for representatives of three of IHRA’s observer countries (Albania, Bulgaria, the former Yugoslav Republic of Macedonia.) The roundtable presented representatives with practical examples to take back to their home countries and resulted in strong networking between IHRA observer countries with a view to regional cooperation. Read more here. The conference will be organized by IHRA’s Academic Working Group and is scheduled to take place in 2017. 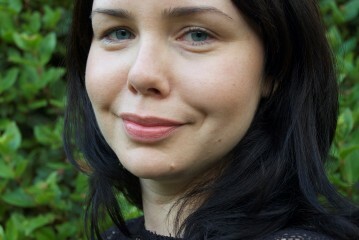 The volume was published in March 2016. Read more here. 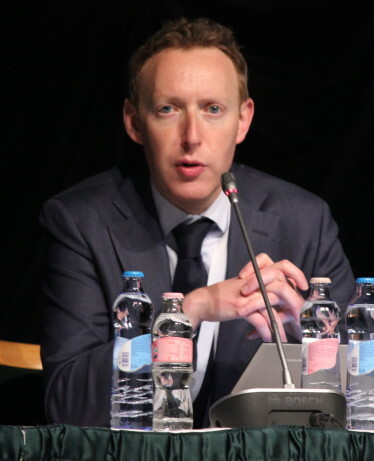 "Thanks to the diligent work of the 2015 Hungarian Chair, Szabolcs Takács, and Hungarian diplomacy generally, and with the devoted efforts of the IHRA team, the European data protection language now includes a specific reference to the Holocaust- the archival sources for which should be open to research and scholarship." 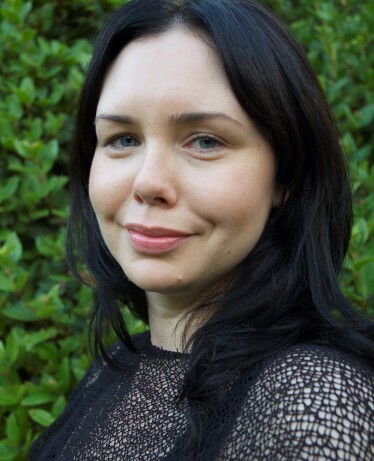 The results of the research project will be presented to the IHRA Plenary in May 2016. The IHRA evaluation aims to take stock of the achievements and challenges facing the organization and will be completed in 2017. 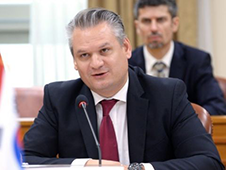 The Chair approached a number of ministries in Moldova as well as sending the IHRA statement on the issue to the Prime Minister of Moldova. 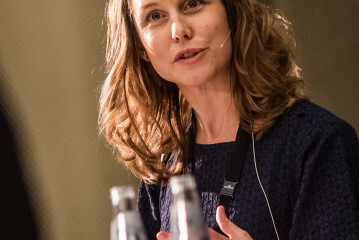 The conference took place in Budapest on 6 November 2015. Read more here. In October 2015, UK delegate Professor David Cesarani passed away. 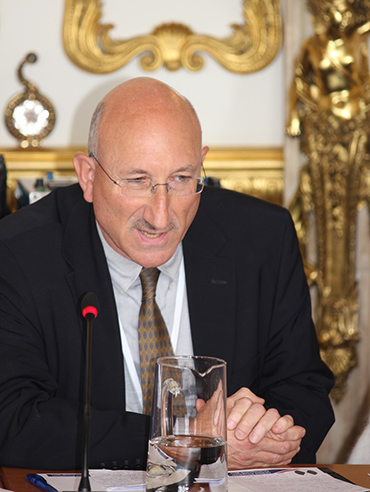 SIR ERIC PICKLES AND THE UK DELEGATION TO THE IHRAImage: David Cesarani at the IHRA Plenary in London 2014. 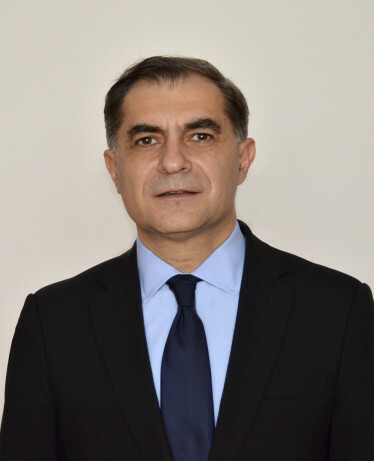 First Plenary under the Romanian Chairmanship to be held in Bucharest from 23-26 May 2016.